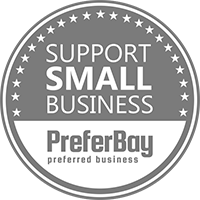 PreferBay is cultivated with a focus on helping locally owned small businesses connect with loyal customers. 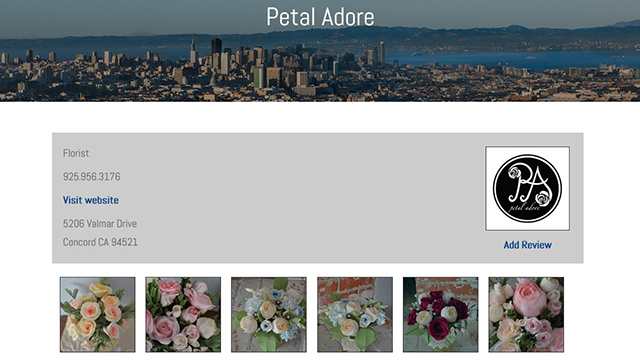 Businesses are invited to add a profile to PreferBay which highlights their status as a preferred Bay Area business. The profile is 100% designed with the member business in mind, specifically generating a click, call or contact. 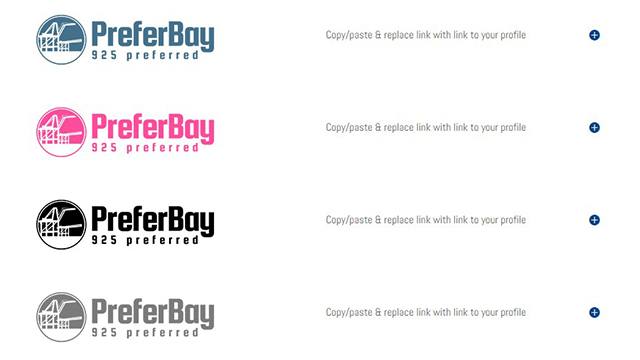 PreferBay Profile – Built to convert visitors to clicks, calls or emails. Review Generator – A true system for generating REAL 5 star reviews. 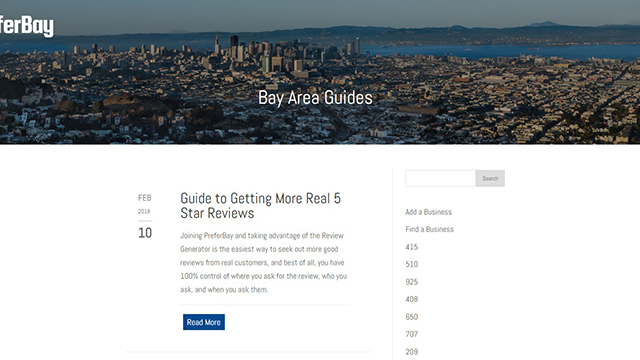 Bay Area Guides Access – Promote services & specials, optimized with back-links. Member Branding – Show off your preferred status. Link to your locally optimized profile, which highlights your business as a preferred Bay Area Business. Generate good reviews from happy customers, build your reputation, and expand your online presence. Write blogs for our Bay Area Guides, which promote your company, and link back to your site and profile. Join now or contact us with your membership questions.